Whenever I see a wrist watch on someone’s hand, it reminds me of a movie dialogue “Time does not exist”. “Then tell me the correct time, now. I don’t even care if it is scientifically logical. It just means to me to not waste my moments looking at the time, but to instead live in them. 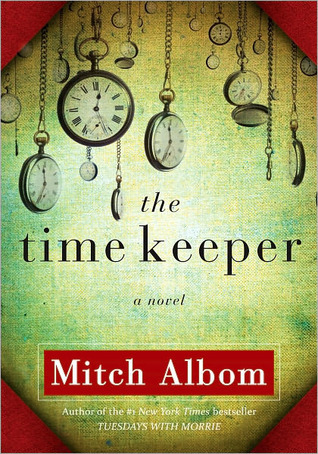 Mitch Albom, in his book “The Time Keeper”, tries to teach the same thing to a world obsessed with counting time. The story is about Father Time, inventor of world’s first clock, who was punished by God for trying to measure time. After centuries of punishment, he is granted a chance to redeem himself by going back to the present day earth, and teaching the true value of time to two people – one who wants more time, and one who wants less time. I would give this book 4 out of 5 stars. It is a good read, and I think everyone should read it, especially as the world truly is obsessed with time, rather than thinking about quality of life. And it is true, I have sometimes fretted over inefficient days too – days when I did nothing but lay down and relaxed. I have worried that I might not have enough time in my life to do all that I want, to read all I want, to travel all I want, to love and live all I want. I have worried whether I have missed doing something I could have done in the 26 years I have already lived. But, where does this worry take me? Does it help? Wouldn’t it be better to follow your heart for the moment, and live in the moment without worrying. Yes, you might die the next moment. Counting time isn’t going to help you go past that. So, instead of wasting our moments counting time passed, or time left, it would make more sense in living in those moments. Living each moment like the last. It’s so hard to do, but if we learn to do that, our quality of life would improve so much. This entry was posted in Books and tagged I.Q., time, Time keeper. Bookmark the permalink. I am sure you are in love with other books of Mitch Albom’s other books- Tuesdays with Morries, Have a little faith!